The vast majority of blogs encourage interaction and discussion in the form of blog comments. Writing blog comments on popular niche websites can help your business in more ways than one. Blog commenting can generate instant website traffic from niche sites with large communities, and lead to new business opportunities. 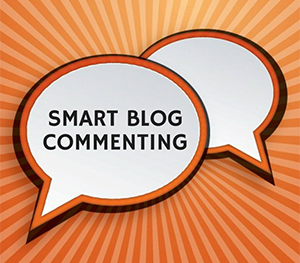 If you’re smart about your blog commenting strategy. If you’re buying $5 bulk blog comment services, you’re doing it wrong! How do blog comments help SEO and website traffic? Referral traffic. 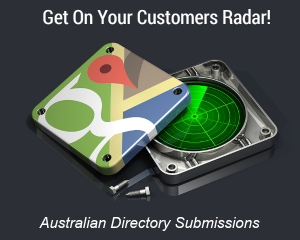 Visitors on niche related sites are also your target market. If your blog comment generates interest people will click through to your website, increasing targeted website traffic. Build Relationships. Leaving comments on other people’s popular blog posts is an excellent way to network. Quality comments get you noticed by the blog author and their community, which can lead to new business opportunities. SEO Value. Published blog comments include a link to the author, in most cases your website, sometimes social profiles like Facebook. These links are almost always tagged as no-follow, instructing Google not to pass “link juice” (although they still carry some weight albeit far smaller than a do-follow link). They are still a valuable part of every backlink profile and niche SEO strategy. Blog commenting on relevant posts demonstrates relevancy to your niche, and diversifies your backlink profile with a natural mix of follow and no-follow links. Both important Google ranking factors. Assuming you’ve done your keyword research finding relevant blog posts is easy. Looking for lists of the “best blogs” in your niche is slow and inefficient. Smart blog commenting uses “search footprints” in Google to find the best ranking posts for keywords. “Search footprints” are basically common expressions found on websites for a specific purpose or function. So for blog commenting we would enter a keyword and blog comment footprint like those below. The quotation marks are important to tell Google you want results with the exact phrase. You can add site:.edu and other google search modifiers to vary the results, and build your own footprint library. By default Google displays 10 results per page, but you can increase the search results per page to 100 to make things more efficient. Ok so now you’ve got hundreds of niche blog posts, but which are worth investing the time to comment on? This is where the SEO Quake Google Chrome extension shines. 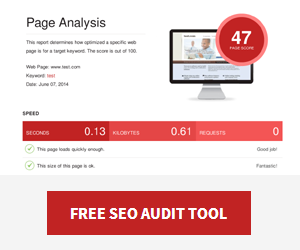 It allows you to display various SEO and social metrics overlayed on the search results. Sort the results by these metrics to ensure your time is spent on high authority, high traffic websites. An alternative is the Moz Toolbar. Filtering blog comment sites is not just about SEO metrics. Ensure the blog posts are also relevant to your website. To give your blog comments the best chance of being published (and generating website traffic) follow these blog comment tips. Use your real name, or that of someone prominent in the business. You wouldn’t introduce yourself as [insert keyword] or with a fake name in the real world so why do it online. Build your brand and reputation! Matt Cutts from Google discussed the importance of using your real name in a video about blog comments and spam. Get a Gravatar profile image so a picture of you (instead of a spammy looking grey head) is shown alongside with your comment. This will help build relationships and get you noticed. Don’t be self promotional. Talking about yourself to much, or dropping links in blog comments is a big turn off to blog moderators. Make sure it’s obvious from your comment that you’ve read the post (yes, READ THE POST). Avoid generic “nice post” type comments, mention something directly in the post including the authors name. Quality comments will encourage more readers to click through to your website. 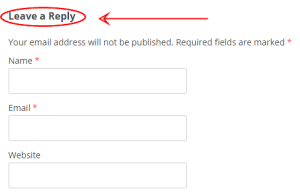 Try to be amongst the first to comment on a blog post. Not only will you get a more visible top position, but you’ll also be exposed to the initial spike of traffic from the promotion of the freshly published post. Use a RSS reader like Feedly to be notified of new posts. Over to you! Did you find these tips useful? What is your best blog commenting tip? There are other mechanical aspects in blog commenting that if you understand, you could take advantage of i.e. Drupal comments are usually do-follow for naked urls etc. p.s. I’ve added your slides + this blog post to my SEO Melb March recap post. Thanks for adding to the blog commenting footprints, and sharing the presentation with your readers. I appreciate it! The recap posts are a great idea, I’ll be reading future additions. Good post, looking forward to reading some more. Will definitely try that plugin for Chrome you mentioned. Wish I could have seen you talk on this topic in person but couldn’t make it. Maybe next time! Nearly all the sites we build we’ve disabled the comments on them owing to the amount of junk that floods in otherwise, a few times we’ve forgotten to put the disable comments plugin in and the deluge of crap is annoying, which is a pity because comments can be interesting and helpful. For most small business sites it doesnt really make sense to have comment sections and facebook has fairly well replaced that causal comment interaction that people might like to have with a business anyway. I’ve used the disqus comment plugin for wordpress on a few sites now where we actually want to get comments and even then still there is occasional spam though its harder to realise its spam. Good summary on the technique to find the blogs though and if you can find some high profile ones that do get visitors and the comments are actually approved then it’s probably worth taking some time to comment. Thanks for the feedback Rowan! Hi Chris, yep even today in 2016 blog comments (especially on relevant blogs) can be SUPER powerful. Love the footprints you shared and the extra ones shared by Peter. Thanks David, if anyone else reading has more blog comment footprints to share please leave a comment! Thanks for the tips. But I often face a problem, my comments don’t get approved by the admin. I take the time to read the blog post and try to discuss the topic of the article. But still many time my comments don’t pass the auto-spam detection phase. Can you please help me on this? I was looking for someone that knows what they’re talking about on this subject. Great job on the article. I actually have a question. I’m noticing that when I post (always a valuable comment) on someone’s’ blog that when the link is validated my name ends up being the anchor text. Although I’m contributing to the other person’s blog and getting a backlink does it matter that the anchor text is my name? Especially if it’s an Affiliate site that I’m working on. Thanks! I appreciate your time. Using your real name in blog comments is a good trust factor, especially if it’s consistently present in links, on your website and social media as well. A solid guide, I use this method along with others as an SEO tactic however you definitely include some tips that I hadn’t been using. I already was using the ones like referencing the post but others like avoiding the self promoting are helpful that I can improve using. Cheers Chris. Blog commenting is still an effective strategy no matter what we may have heard! I think commenting helps build our brand, increase’s our credibility, helps with social media, and can even enhance our SEO campaign.